Modern day Electrocardiography (ECG) is a key component in the beginning evaluation of individuals who exhibit cardiac symptoms. ECGs are essential because of their relatively low cost and their non-invasive procedures in the initial assessment of heart conditions like ischemic heart disease and arrhythmias. An ECG is often the first tool used in the diagnostic process, and medical professionals from EMTs to specialists are often required to read the results. The widespread use of ECGs across the medical field and by those who do not specialize in heart conditions often leads to the results being misunderstood, especially by medical workers in training (AlGhatrif & Lindsay, 2012). This guide will help to clarify the history, importance, use, and interpretation of the 12-lead ECGs in order to lessen the general misunderstandings that are prevalent among medical professionals who are not already familiar with the 12-lead ECG. Along with the chest x-ray, the electrocardiograph (ECG) was a part of an evolution in the diagnosis of heart disease that began near the turn of the 20th century. Previous methods of diagnosis were limited to the traditional methods of recording medical history and physical exams, but the introduction of the chest x-ray in 1895 followed shortly by the ECG in 1902 allowed medical practitioners to obtain a greater understanding of the heart. The first version of the electrocardiograph used a string galvanometer to track the possible differences between the limbs that were caused by the heart’s electrical activation. Throughout the course of the 1900s, inventors continued to innovate and improve upon the ECG’s design finally resulting in the 12-lead ECG that is used today (AlGhatrif & Lindsay, 2012). The invention of the electrocardiograph was dependent upon several key discoveries. The first was noted by Dr. Luigi Galvani in 1786. Dr. Galvani was a physician and physicist who was employed at the University of Bologna. Galvani was the first to record the electrical activity of muscles, which he encountered during a dissection of skeletal muscles. The next discovery occurred in 1842 when Dr. Carlo Matteucci of the University of Pisa showed that every heartbeat of a frog coincided with an electrical current. Then in 1877, British physiologist Augustus Waller produced the first electrocardiogram on a human subject by utilizing a capillary electrometer with electrodes positioned on the chest and back of his subject. Through his electrocardiogram, Waller showed that electrical activity actually occurred before ventricular contraction. Finally in 1891, another pair of British physiologists, William Bayliss and Edward Starling, advanced the capillary electrometer and showed triphasic cardiac electrical activity within every beat (AlGhatrif & Lindsay, 2012). The very first electrocardiogram produced by Waller later influenced Dutch physiologist Dr. Willem Einthoven to further advance the capillary electrometer. With his advanced technology, Dr. Einthoven was then able to discover five different deflections. He labeled the deflections A, B, C, D, and E. In order to account for the capillary system’s inertia, Einthoven also applied a mathematical equation to correct for this affect. 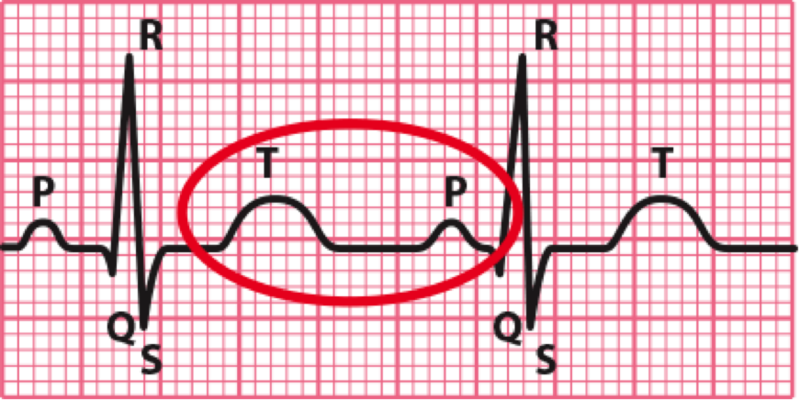 This equation generates the curves that are seen on ECGs today. When naming deflections, Einthoven embraced the custom of Descartes to label the deflections from the final part of the alphabet. The deflections were thus named P, Q, R, S, and T. Dr. Einthoven was also the first to coin the term “electrocardiogram.” He first used the term in 1893 at the Dutch Medical Meeting. Finally in 1901, Einthoven created an extra sensitive string galvanometer that he then utilized within his electrocardiograph. Einthoven’s new machine weighed in at a whopping 600 pounds (AlGhatrif & Lindsay, 2012). Once the string galvanometer electrocardiograph was introduced for use within the medical community, revisions were necessary in order to make the machine more practical. Waller’s original electrocardiograms utilized five electrodes, one on each limb and one in the mouth, which through varying combinations produced ten leads. Einthoven discontinued the use of the electrodes on the right leg and the mouth because he believed that those positions had the least amount of yield. The remaining three leads, on both arms and the left leg, became known as Einthoven’s triangle, which is still well-known today. Because of his creation of the electrocardiograph, Einthoven received the Noble Prize in physiology and medicine in 1924 (AlGhatrif & Lindsay, 2012). The original electrodes consisted of cylinders made of an electrolyte solution that were used to coat the application areas. The left arm and leg received the positive leads in order to achieve positive deflections on the ECG tracing because the natural electrical activation of the heart was thought to be from the right-upper quadrant to the left-lower quadrant (AlGhatrif & Lindsay, 2012). The very first string galvanometer electrograph that was purchased for clinical use was bought in 1908 by Sir Edward Schafer of the University of Edinburgh. The first electrocardiogram to arrive in the United States was ordered by Dr. Alfred Cohn from Mt. Sinai Hospital in New York in 1909 (AlGhatrif & Lindsay, 2012). After the initial improvements were made in the portability of the three-lead electrocardiogram, the general uses of the new machine were thoroughly explored. ECGs were originally used in the examination of arrhythmias. As early as 1909, the three-lead ECG was used in the diagnosis of an irregular heartbeat caused by atrial fibrillation. The very next year, a myocardial infraction was recognized through the use of an ECG. These two revelations led to increased attention being paid to the ECG patterns that might be associated with ischemic heart disease. Once the 1930s had arrived, ECGs were already well established in their ability to distinguish cardiac chest pain from non-cardiac chest pain. Certain ECG patterns were thought to be so indicative that the ECG was sometimes used as the sole diagnostic tool for myocardial infarction (AlGhatrif & Lindsay, 2012). The three-lead electrocardiogram was suitable for assessing arrhythmias, but it quickly became apparent that using three-lead electrocardiograms to detect myocardial infarction was not completely reliable due to the fact that there were areas of the heart that the three-lead ECG could not detect. The idea of a “central terminal” was developed by Dr. Frank N. Wilson in 1934. The concept involved creating a central negative lead that mirrors a ground terminal by connecting the three electrodes located on the arms and the leg. For this to be achieved, an electrode that is positioned on the body must also be connected to the ground measure through a galvanometer. The difference between the two points was then measured with the ground point being a reference point. 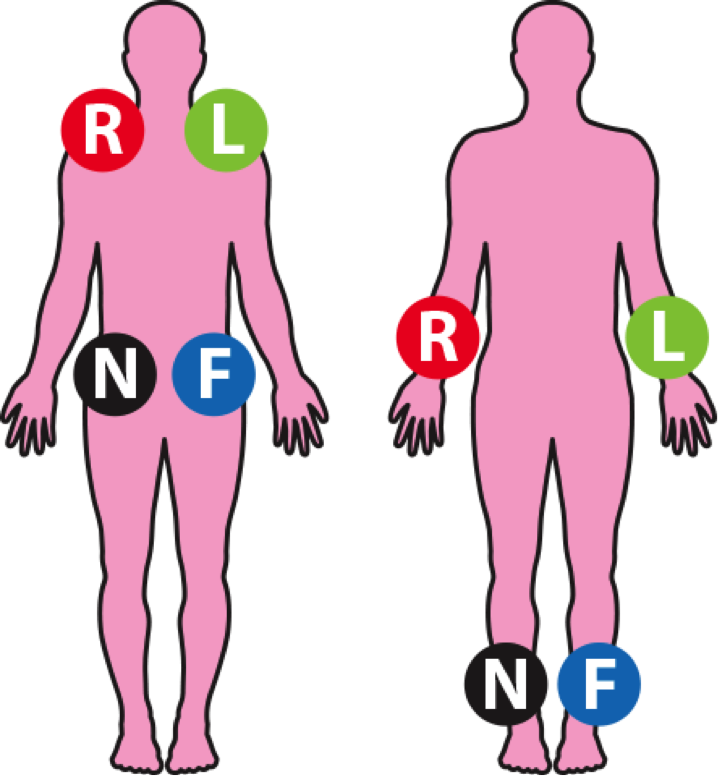 These connections are known as “unipolar” leads, and they differ from the “bipolar” leads that measure the differences found between two locations on the body. A unipolar lead can hypothetically be positioned on any point on the body; therefore, it was dubbed an exploring lead. Suggestions for documenting the exploring lead at six specific sites labeled V1 to V6 and located across the precordium were published by the American Heart Association and the Cardiac Society of Great Britain in 1938. These recommendations were the original source of the chest leads used in 12-lead ECGs today (AlGhatrif & Lindsay, 2012). Because the three-lead electrocardiogram encompassed the frontal plane in 60 degree sections, it seemed likely that there were sections that were excluded, which could amplify the potential of an electrically silent myocardial pathology. In order to minimize this possibility, Dr. Emanuel Goldberger utilized Dr. Wilson’s concept of a central terminal to create unipolar leads with the central or ground terminal. He then connected additional positive unipolar leads to each arm and the left leg. These additional unipolar leads resulted in greater detail in the depiction of the frontal plane with much smaller 30 degree sections. Because the new unipolar leads emitted small signals, Dr. Goldberger then enhanced these signals with a method that is now known as the augmented unipolar limb leads aVL, aVR, and aVF. Dr. Goldberger was the first to position a positive electrode over the right arm, which goes counter to the direction of the electrical activation. This new positioning resulted in the abnormal appearance of aVR. 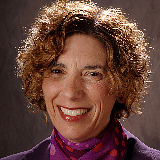 Dr. Goldberger’s advancement of the unipolar leads was the final major step toward the creation of the 12-lead electrocardiogram. The American Heart Association published their suggestion for the uniformity of the 12-lead electrocardiogram in 1954 (AlGhatrif & Lindsay, 2012). From Einthoven’s original invention to Goldberger’s final innovation was a fifty year trial period of developing the 12-lead electrocardiogram that is used today. In each step of the process, doctors embraced the instrument as a crucial diagnostic tool, but with use and time the shortcomings of previous versions became apparent. Through the ingenuity of generations of researchers, the instrument has evolved into the optimal and non-invasive diagnostic tool that is still widely used to this day (AlGhatrif & Lindsay, 2012). Who should have a 12-lead ECG? The main use of the 12-lead electrocardiogram is to evaluate patients for cardiac ischemia. Of the various forms of cardiac ischemia, acute ST-elevation myocardial infarction (STEMI) is the main focus of the 12-lead ECG. The 12-lead ECG enables EMS professionals to quickly identify STEMI patients and to take these patients to the most suitable hospital, which may not be the nearest hospital. The early identification of STEMI patients also allows for the hospital to prepare for their arrival. This may require calling in hospital personnel for the cardiac cath lab (Bouthillet, 2012). To be able to consistently identify all potential STEMI patients, one requires knowledge about all of the potential indicators of a STEMI heart attack. Research has indicated that roughly four out of five STEMI patients complain about the quintessential symptom of chest pain. This statistic also implies that around one in five STEMI patients will not have the archetypal symptom of chest pain. Because such a high percentage of patients will not encounter this typical symptom of a STEMI heart attack, it is crucial to be aware of other possible indicators of a STEMI patient. Health care professionals should recognize a range of symptoms as possible indicators of a STEMI heart attack. These could include chest pain or atypical chest pain. Pain in the jaw, neck, back, and arm, but no chest pain may also indicate a STEMI patient. Epigastric pain is another reported symptom. The patient may experience syncope or near syncope. Palpitations, pulmonary edema, weakness, or shortness of breath may also present in STEMI patients. Suspected diabetic ketoacidosis or diaphoresis not explained by ambient temperature are other possible indicators. Finally, feelings of anxiety or impending doom are also possible symptoms to be aware of. Altered mental states may indicate STEMI patients, but procedures often require these patients to undergo an additional CT scan before admittance to the cardiac cath lab because ST/T-wave changes may occasionally imitate acute STEMI (Bouthillet, 2012). While most of the patients that present with these symptoms will not be experiencing an acute STEMI event, the utilization of a pre-hospital 12-lead ECG is still necessary. 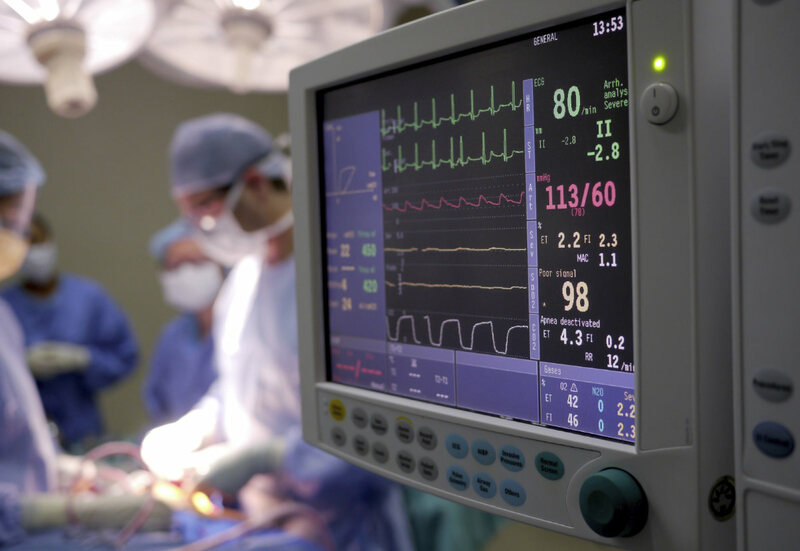 No matter how experienced the responding medical professionals are, it is impossible to determine who is having an acute STEMI event and who is not solely by looking at them. Some paramedics may falsely believe that experience alone can train them to positively identify heart attack patients versus those with non-cardiac chest pain. While experience can help medical professionals to determine when an acute STEMI event is less likely, experience alone can never definitively determine this diagnosis. While the physical exam is key in determining potential STEMI patients, the 12-lead ECG is vital for the final determination (Bouthillet, 2012). 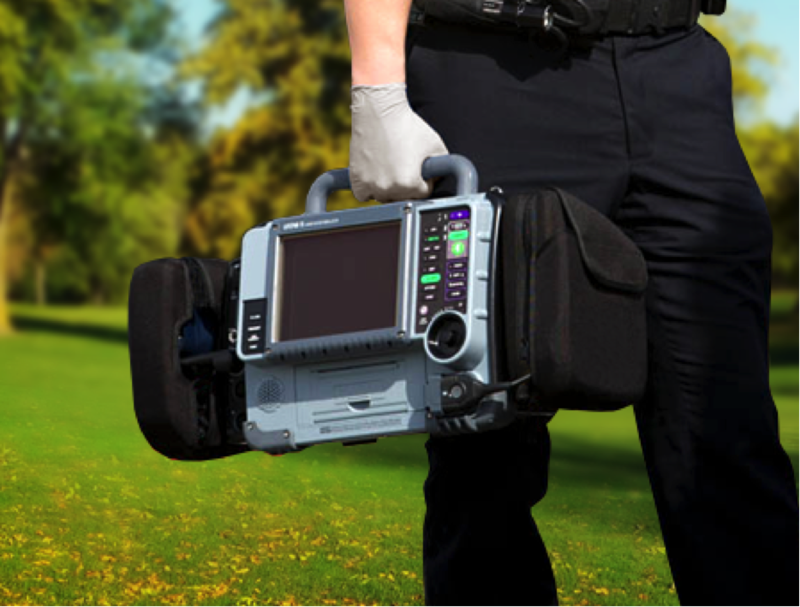 There are several different types of ECGs available for use today. The three channel ECG utilizes 3 to 4 ECG electrodes. Red is used on the right arm. Yellow is placed on the left arm. Green is positioned on the left leg, and black is placed on the right leg. With these basic leads in place enough data is generated to allow for rhythm-monitoring. In order to conclusively determine the significance of an ST-evaluation, these leads are not sufficient because they do not provide an adequate look at the anterior wall. If any ST-segment changes are noted during a three or four channel ECG, immediate monitoring by a 12-lead ECG should be instated (Van der Bilt, 2013). The five channel ECG also utilizes the four limb leads of the four channel ECG, and it uses a precordial lead as an addition. This additional lead boosts the ST-segment efficiency, but compared to the 12-lead ECG it is still lacking in accuracy (Van der Bilt, 2013). Vector electrocardiography tracks the movement of the electrical activity of the P, QRS, and T waves. The X, Y, and Z leads are also monitored during vector electrocardiography. This type of ECG is not commonly used in modern medicine, but it is still occasionally utilized in research (Van der Bilt, 2013). Body surface mapping is also periodically used in the research process, but this type of ECG is not really used in medical practice. With body surface mapping, the cardiac electrical wave-front is mapped as it progresses over the body’s exterior. This information is then manipulated in order to ascertain the heart’s electrical activity (Van der Bilt, 2013). The 12-lead ECG is derived from the utilization of 10 electrodes to create six extremity leads and six precordial leads. Four of the electrodes are located on the limbs, and the other six electrodes are located on the chest. The extremity leads are lead I, lead, II, lead III, aVL, aVR, and aVF. The extremity leads monitor the various pathways of the arms and legs. The chest leads are labeled V1 through V6. The chest leads monitor the depolarization wave of the frontal plane. The 12-lead ECG is standard practice for the medical monitoring of the ST-segment. It is also recommended above the three, four, and five channel ECGs for the detection of heart conditions (Van der Bilt, 2013). What do the squares represent? The tracings of a 12-lead ECG are printed on the usual paper utilized by the monitor. This paper is composed of a grid pattern of squares. One of the small squares within the grid pattern is equivalent to one millimeter in height and another millimeter in width. One of the large squares is composed of a five by five block of the small squares. This means that one large square is equivalent to five millimeters in height and another five millimeters in width. Knowing the height and width of the two types of squares enables one to measure the tracings generated by the ECG (EMS Solutions, n.d.). How fast does the paper move? The speed that the paper moves is also important to know. The paper prints the tracing at a continual speed of 25 millimeters per second. That speed means that the width of one small square is equivalent to 0.04 seconds, and the width of one large square is equivalent to 0.20 seconds. These constant tracing rates can be utilized in the measurement of other intervals of time (EMS Solutions, n.d.). What assessments of the patient can be made from the time and voltage reading? The height of the small squares is important because when assessing ST-segments, one must look for an elevation equal to or larger than 1 mm, which is the exact height of the small squares. The use of the small squares as a measuring tape allows for the medical professional reading the tracing to measure without having to utilize an additional measuring tool (EMS Solutions, n.d.). The consistent time ratios of the tracings allows for other rates to be calculated. One particular difference to be aware of is the time needed for rhythm interpretation versus 12-lead interpretation. Rhythm interpretation requires somewhere between six to ten seconds in order to be able to see the pattern and make a suitable identification of the rhythm. A 12-lead’s tracing only prints 2.5 seconds of the rhythm, which is not long enough for rhythm interpretation, but the pattern is not what is examined in a 12-lead tracing. Twelve-leads focus instead on comparing the complexes that are generated in unison by the different leads (EMS Solutions, n.d.). There are various methods of calculating a heart rate utilizing an ECG reading. You can either count the squares for a regular heart rate, use a calculator for tachycardia tracings, or use the marker method for irregular rhythms (“Rates,” 2011). Counting squares to determine heart rate is easiest for regular heart rates. When you are counting squares, you begin from the first QRS complex and then count to the second QRS complex. If the second QRS complex is at the first bold line, then the heart rate is around 300 beats per minute. The next bold line is roughly equivalent to 150 beats per minute, and then the one after that is 100 beats per minute. You can use the sequence 300-150-100-75-60-50-43-37 to calculate the beats per minute by counting the squares. Because the second QRS complex may not fall on a bold line, it may be necessary to count the smaller squares as well. The following sequence includes the beats per minute for both the bolded and the thin lines: 300-250-214-187-167-150-136-125-115-107-100-94-88-83-79-75-71-68-65-62-60. The mean of the two bolded lines that the QRS complex falls between may also be used instead of counting the smaller squares. An example of how to use this method is pictured below (ECG Pedia, 2011). The above image demonstrates the square counting method for determining heart rate. “Start here” is pointed at the first QRS complex. This is where you begin counting the squares. The bolded lines and their corresponding number of beats per minute are also labeled. The second QRS complex falls between the 75 and the 60 beats per minute markers. That means that the heart rate falls between those numbers. One option is to take the mean of those two numbers. In this case, that would make the estimated heart rate 67.5 beats per minute. Another method would be to count the smaller squares. The next QRS complex falls on the third small square after the 75 marker. That means that this heart rate is 65 beats per minute. Image from: (ECG Pedia, 2011). If the heart’s rhythm is irregular, then you should use the marker method for determining heart rate. First, you must count the number of QRS complexes that occurs within a three second time period. Then, you must multiply that number by twenty. The multiplication’s result is equal to the number of beats per minute. (ECG Pedia, 2011). Bradycardia occurs when the heart beats at less than 60 beats per minute. This may arise when the central nervous system fails to communicate with the heart that it needs to pump more or if the sinoatrial node (SA node) is damaged. The damage may be caused by heart disease, inherited or congenital defects, aging, or even by certain medications including those that control arrhythmias and high blood pressure. Bradycardia most often occurs in the elderly, but it can happen at any age (Texas Heart Institute, 2015). Abnormally rapid heart rates are known medically as tachycardia. More specifically, tachycardia is defined as a heart rate than is in excess of 100 beats per minute. There are a couple of forms of tachycardia. The type of tachycardia is dependent upon the origin of the heart rate’s rapid increase. If tachycardia originates in the ventricles, it is termed ventricular tachycardia. When tachycardia’s source is above the ventricles, it is recognized as supraventricular tachycardia or SVT (Texas Heart Institute, 2015). Ventricular tachycardia occurs when the SA node stops controlling the beating of the ventricles. When the SA node stops acting as a pacemaker, other sections along the lower electrical pathway fulfill this job. Because the new signal is originating from a different source, it does not follow the normal route, which in turn causes the heart to beat abnormally. As your heart rate increases, you may feel like it’s hard to breath. You may also feel dizzy and even faint (Texas Heart Institute, 2015). Supraventricular tachycardia (SVT) is a quick but typical heart rate. SVT must be between 150 and 250 beats per minute in the atria. SVT develops when the electrical signals from the heart’s upper chamber are emitted abnormally. These abnormal signals then interfere with the electrical signals from the SA node causing the beats in the atria to speed up the heart rate. STV is most common in younger people including babies. Women are also more likely to experience SVT. Anxiety, fatigue, caffeine, alcohol, and smoking can also increase the risk of SVT (Texas Heart Institute, 2015). Ventricular Fibrillation is an irregular and unmanaged heartbeat. It is the most dangerous out of all of the arrhythmias causing around 220,000 lethal heart attacks every year. With a ventricular fibrillation, multiple impulses are generated simultaneously at various locations. All of these competing impulses are commanding the heart to beat, which results in the heart rate becoming increased and chaotic. Some cases of ventricular fibrillation result in heart rates of 300 beats per minute. This frantic heart rate results in minimal blood being pumped by the heart, which in turn leads to a lack of blood in the brain. This lack of blood flowing to the brain often results in fainting. Ventricular fibrillation requires immediate medical care. Cardiopulmonary resuscitation (CPR) or a shock to the heart may help to restore a normal rhythm. Individuals suffering from heart disease or who have previously experienced a heart attack are at the most risk for ventricular fibrillation (Texas Heart Institute, 2015). Premature Ventricular Contractions (PVC) occur when the ventricles contract too early causing them to be out of sync with a typical heart rhythm. PVCs are not as dangerous as ventricular fibrillation, and they may even go without medical treatment in many cases. Many PVCs occur suddenly and without cause, but other PVCs can be brought about by caffeine or certain types of cough and cold medicines (Texas Heart Institute, 2015). Supraventricular arrhythmias originate above the heart’s lower chambers. These arrhythmias may occur in the upper chambers also known as the atria or in the atrial conduction pathways. Ordinarily, supraventricular arrhythmias are not as dangerous as ventricular arrhythmias. Often these arrhythmias can go without medical treatment. Supraventricular tachycardia, which was discussed in a previous section, is one example of a supraventricular arrhythmia (Texas Heart Institute, 2015). Atrial Fibrillation, the most common cardiac arrhythmia is an irregularly, irregular rhythm that is caused when the single muscle fibers of the atria twitch and contract. The twitching muscles can lead to blood pooling in the heart’s upper chambers, which may then contribute to the development of blood clots. If a blood clot originating in the heart is then carried to the brain, it can block the smaller arteries of the brain. This blockage can lead to a stroke. Approximately 15% of strokes occur in individuals with atrial fibrillation. Around 2.2 million Americans are reported to suffer from atrial fibrillation. Atrial fibrillation is the leading cause of stroke in the elderly. Because atrial fibrillation may cause a stroke, those who suffer from this arrhythmia must undergo antiplatelet therapy by taking medications that prevent the formation of blood clots (Texas Heart Institute, 2015). Wolff-Parkinson-White Syndrome (WPW) is a cluster of abnormalities that is created by additional muscle pathways running between the atria and the ventricles. These additional pathways enable the electrical signals to arrive at the ventricles early and then the signals are sent back to the atria. These premature signals increase the heart rate, which may result in the individual feeling dizzy, having palpitations, or possibly even fainting. Individuals with WPW syndrome are also more likely to experience supraventricular tachycardia (Texas Heart Institute, 2015). Atrial Flutter is characterized by rapid, regular atrial contractions, usually at a rate of approximately 300 beats per minute with a slower ventricular rhythm that may cause palpitations, dizziness, fatigue and shortness of breath. Premature Supraventricular Contractions (PACs) occur when the atria contract too early. This premature contraction leads to the heart beat becoming out of sync (Texas Heart Institute, 2015). Normally when a person shifts to a standing position, their body will enact the necessary adjustments required to compensate for the stress put on the body from the gravitational pull. These adjustments allow for continued blood flow to the brain and the upper portions of the body. This includes an elevation in the heart rate and a tightening of the blood vessels in the lower portion of the body. These physiological compensations do not occur in individuals with orthostatic intolerance. Because their bodies do not make the adjustments necessary for standing, these individuals may have trouble standing or staying in a standing position (Texas Heart Institute, 2015). POTS is categorized as an orthostatic intolerance. POTS affects the blood vessels in the lower body. When an individual suffering from POTS stands, the blood vessels in the lower body fail to tighten, which makes it difficult for the blood to travel to the upper, elevated portions of the body. The heart rate increases in an effort to circulate the blood in a standing position, but gravity keeps the blood in the lower portions of the body where it accumulates. This struggle for the blood to reach the upper portions of the body results in the blood, and therefore the much needed oxygen within it, not being able to reach the brain. The lack of blood flow to the brain caused by POTS may result in a variety of symptoms from blurred vision and headaches to fatigue and lightheadedness. Serious cases can even result in fainting (Texas Heart Institute, 2015). If the SA node sends its electrical signal correctly, but the signal does not go through the atrioventricular (AV) node or through the lower electrical pathways at a normal rate, then the resulting condition is referred to as a heart block. Heart blocks can result from aging, damage caused by coronary artery disease, or cardiac amyloidosis, which is when protein deposits replace the heart’s muscle. There are multiple kinds of heart block, which are labeled by their level of seriousness (Texas Heart Institute, 2015). A first-degree heart block occurs when there is delayed conduction from the atrium to the ventricle, from the sinoatrial node to the atrioventricular node. This is the least serious level of a heart block. A second-degree heart block is slightly more serious. It occurs when the electrical impulses travel through the atria, but they are then slowed in the AV node. This delay in the AV node causes the ventricles to beat at the wrong time (Texas Heart Institute, 2015). A third-degree heart block develops when the impulses fail to reach the ventricles. In order to compensate for this lack of signal, the ventricles start to use their own pacemaker, but this goes at a slower rate. The time difference between the atria’s electrical impulse and the impulse created by the ventricle’s pacemaker may result in the individual fainting. If this happens, it is referred to as a Stokes-Adams attack. Third-degree heart blocks are at the highest level of severity. These heart blocks can cause the heart to fail, or they can even result in death (Texas Heart Institute, 2015). The first positive or upward deflection on the ECG is the P-wave. The P-wave shows the atrial contraction or depolarization. 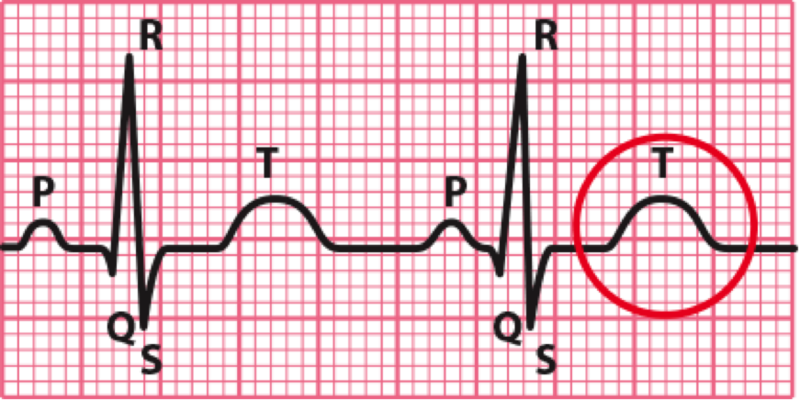 A typical P-wave is rounded and comes just before the QRS complex, but if conduction disturbances are happening then this relational pattern may not be seen. Differences in the shape of the P-wave or if an inversion occurs may signal a different site of origin for the P wave from within the atria. This change in origin is often called a wandering pacemaker (EMS Solutions, n.d.). The Q-wave is a negative deflection that comes before the R-wave. Not every complex has a visible Q wave, but any negative deflection before the R-wave is always labeled as the Q-wave. When a Q-wave is marked, its width and height is always measured. In order to correctly measure the Q-wave’s width, one must begin at the start of the downward deflection and end at its return to the isoelectric line. A Q-wave that is shorter than 0.04 seconds, which is equivalent to less than one small square in width, is considered within the normal range and is known as a physiological Q-wave. A Q-wave that is longer than 0.04 seconds or longer than one small square in length and is also at least a quarter of the height of the R-wave is deemed a pathological Q-wave, which signifies necrosis or permanent damage. A pathological Q-wave could be connected to the present complaint or it could indicate a previous infarction (EMS Solutions, n.d.). After the QRS complex comes the T-wave. The T-wave depicts the repolarization of the ventricular myocardial cells. The T-wave begins at the first departure of the ST segment and finishes at the return to the baseline. The T-wave’s shape can potentially represent different parts of myocardial health. If the myocardial tissue is healthy, the T-wave will appear rounded and slightly lopsided with a positive deflection. If the T-wave is inverted or depressed, this usually means that there is a current or continuing ischemic event, but it can also indicate a prior cardiac ischemia. Raised T-waves that are greater than half of the height of the QRS complex are often called a peaked or tented T-wave. A tented T-wave may be suggestive of a new ischemia or hyperkalemia (EMS Solutions, n.d.). 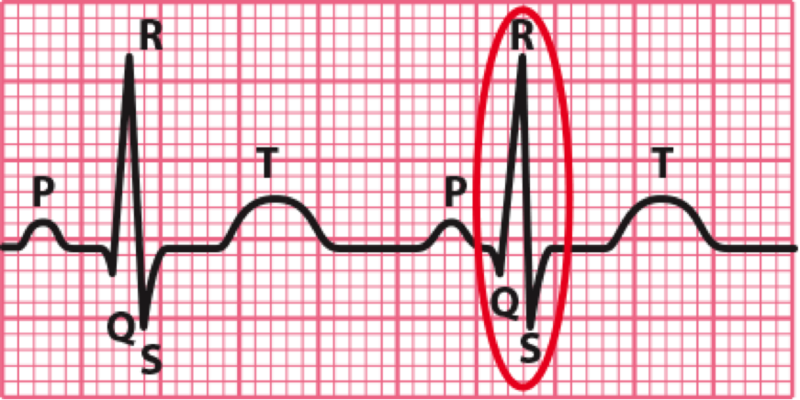 Between the finish of the QRS complex and the start of the ST-segment, there is an intersection that is known as the J-point. One can determine the location of the J-point by identifying the quick and steep change in direction where the QRS complex ends. If you have already determined the width of the QRS complex by measuring from the beginning of the Q-wave to the finish of the S-wave, then you have already determined the J-point. The final point that marks the finish of the S-wave is labeled as the J-point. The J-point is utilized in the measurement of the ST-segment (EMS Solutions, n.d.). J-point elevation can be seen in early repolarization, a common finding in young, healthy individuals. 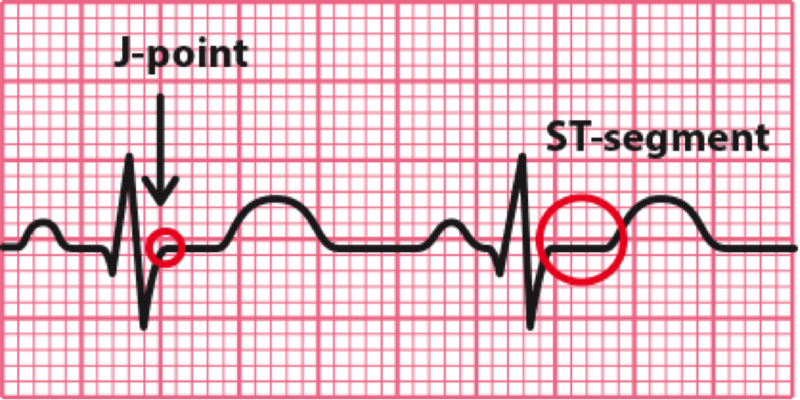 The ST-segment is the section of the ECG that goes between the J-point and the beginning of the T-wave. This section is key in identifying the occurrence of an acute myocardial infarction or heart attack. In order to decide if the ST-segment is high or low, one needs to know the isoelectric baseline. The baseline can be judged based on the TP-segment (EMS Solutions, n.d.). The TP-segment is the piece of the ECG reading that is located between the final point of one complex’s T-wave and the starting point of the following complex’s P-wave. This piece of the ECG reading is the area in which the tracing is the closest to the isoelectric baseline. The TP segment is used as a key reference point for determining if the ST-segment is depressed or elevated (EMS Solutions, n.d.). The electrical signal that the heart emits is only slight. It is therefore very easy for ECG readings to have “artifacts” from other electrical signals of similar frequencies that are not emitted by the heart. In order to reduce the amount of artifact interference that can occur, it is important to position the patient, prepare the skin, and apply the electrodes appropriately (EMTResource, 2014). First, you should begin by placing the patient into a supine or semi-Fowler’s position. If the patient cannot be positioned flatly, a more elevated position is permitted. Then, you should direct the patient to lay their arms by their sides. If necessary, have the patient relax their shoulders. The patient’s legs should not be crossed. Make sure to remove any electronic devices from the patient, like cell phones, because these may hinder the machine’s readings (EMTResource, 2014). Make sure that the skin is dry. Remove any hair that may block the correct electrode placement by shaving the area. This is necessary because the electrode must have full contact with the skin. Use an alcohol pre pad or benzoin tincture to remove any oils from the skin. This also helps with the adhesion of the electrode (EMTResource, 2014). Make sure that the gel is still moist. Avoid placing the electrodes over bones. Avoid placing electrodes over areas with excessive muscle movement (EMTResource, 2014). 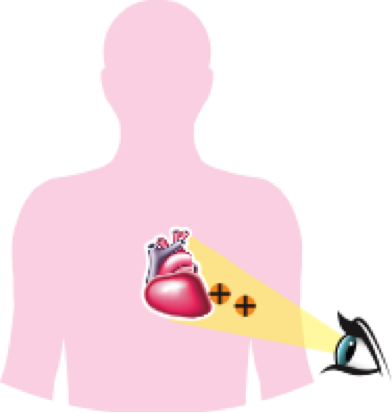 A lead consists of a positive and a negative electrode that when connected look at an aspect of the heart. Where a lead looks is reliant upon where the electrodes are positioned in relation to each other. A 12-lead ECG is created from the electrical activity tracings of twelve differing views of the heart. These positions are divided into limb leads, augmented leads, and the chest or precordial leads (EMS Solutions, n.d.). Limb leads include lead I, II, and III. Lead II is the most recognizable lead. Lead I, II, and III link to form Einthoven’s Triangle around the edges of the heart (EMS Solutions, n.d.). For 12-lead readings, the limb leads are usually positioned close to the wrists and ankles, but they may also be positioned on the upper arm and thigh. The electrode on the right arm is always negative, and the electrode on the left leg is always positive. This combination of electrodes creates Lead II. The left arm electrode can alternate between positive and negative. This switching of polarization is carried out by the monitor. If the left arm electrode is positive, then it combines with the negative right arm electrode to create Lead I. When the electrode on the left arm is negative, it combines with the positive electrode of the left leg to create Lead III (EMS Solutions, n.d.). 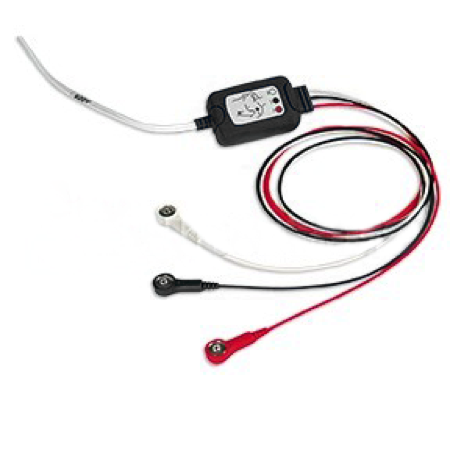 Augmented leads consist of aVR, aVL, and aVF. The augmented leads and the limb leads utilize the same general lead locations, but the augmented leads are all positive, and their view is pointed towards the neutral center of the heart. Luckily, the monitor changes the polarity of the electrodes so transitioning between the different polarities is not left up to the operator (EMS Solutions, n.d.). When the electrode on the right arm is positive, it is called augmented voltage right or aVR for short. A positive electrode on the left arm is denoted as augmented voltage left or aVL for short. The last augmented lead is created with a positive electrode placed on the left foot. This lead is labeled augmented voltage left foot or aVF for short (EMS Solutions, n.d.). Chest leads are also referred to as precordial leads. Chest leads include V1, V2, V3, V4, V5, and V6. Just like the augmented leads, the chest leads are entirely positive and focus on the neutral center of the heart (EMS Solutions, n.d.). Lead V1 is located on the fourth intercostal space on the right sternal border, and lead V2 is also on the fourth intercostal space, but V2 is on the left sternal border. Lead V4 is located on the fifth intercostal space on the midclavicular line, and lead V3 is positioned between V2 and V4. Lead V5 is located laterally to V4 at the anterior axillary line, and lead V6 is placed laterally to V5 at the midaxillary line (EMS Solutions, n.d.). In a 12-lead ECG, the general viewpoint of interest is the left ventricle. This is because the left ventricle is the biggest and most heavily muscled section of the heart, which causes this area to be the first to feel the pain that is often caused by tissue perfusion. The left ventricle is also at greater risk of suffering from a lethal arrhythmia (EMS Solutions, n.d.). Many leads in a 12-lead ECG also look at the same area within the left ventricle. Two or more leads that depict connected areas of tissue are called anatomically contiguous leads. These leads are an essential aspect of the interpretation of a 12-lead ECG. Identifying anatomically contiguous leads may be difficult at first, but as a general rule if the leads share a name, then they are considered contiguous. For example, the chest leads are labeled numerically making it easy to identify V2 and V3 as anatomically contiguous leads (EMS Solutions, n.d.). In order to know which section of the heart a particular lead is looking at, one must remember the positioning of the positive and negative electrodes. One way to imagine the viewpoint is to think about placing a camera at the positive lead pointing in the direction of the negative lead. The picture the imaginary camera could capture is the section of the heart that the lead is recording (EMS Solutions, n.d.). Lead I is derived from the positive polarization of the electrode on the left arm and the negative electrode on the right arm. If one utilizes the concept of the imaginary camera by placing it on the positive left arm facing toward the negative right arm, lead I’s view of the high lateral wall of the left ventricle becomes apparent. Lead II is created by a positive electrode on the left leg and a negative electrode on the right arm. 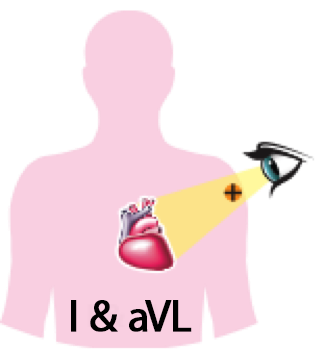 If one places an imaginary camera on the positive electrode facing the negative electrode, one would see that lead II looks at the inferior wall of the left ventricle. Lead III’s combination of the negative polarization of the left arm’s electrode and the positive electrode of the left leg can also be subjected to the concept of the imaginary camera. With the imaginary camera on the left leg facing the left arm, Lead III’s view of the inferior wall of the left ventricle is apparent. Although this is the same section of the heart that is also viewed by Lead II, Lead III’s view of this section is from a different angle (EMS Solutions, n.d.). Leads II and III get their viewpoint from the positive electrode on the left foot. These are contiguous leads that view the inferior wall of the left ventricle. This viewpoint is also shared with the augmented lead aVF. Image from (EMS Solutions, n.d.). Lead I has its positive electrode located on the left arm. That means that lead I’s view is of the high lateral wall of the left ventricle. This viewpoint is also shared with the augmented lead aVL. Image from (EMS Solutions, n.d.). Just like the augmented leads, the chest leads are entirely positive and focus on the neutral center of the heart. Located on the fourth intercostal space on the right and left sternal border, V1 and V2 have their viewpoints directed towards the center of the heart. If one fits both of the positive electrodes with an imaginary camera, one will realize that V1 and V2 provide a picture of the ventricular septum. With lead V4 positioned on the fifth intercostal space on the midclavicular line and lead V3 placed between V2 and V4, one can focus the hypothetical camera inward to view the anterior wall of the left ventricle. Finally, lead V5 at the anterior axillary line and lead V6 at the midaxillary line can both be fitted with an abstract camera that faces inward to capture a picture of the lateral wall of the left ventricle (EMS Solutions, n.d.). V1 and V2 are located on both sides of the sternum. This makes their viewpoint the septal wall. Image from: (EMS Solutions, n.d.). V3 and V4 are located on the anterior wall of the left chest. This makes their viewpoint the anterior wall of the left ventricle. Image from: (EMS Solutions, n.d.). An acute myocardial infarction is more commonly known as a heart attack. An acute myocardial infarction (AMI) arises when the heart’s blood flow is significantly reduced or completely blocked. Reductions or stoppages to the heart’s blood flow generally generates from the coronary arteries, which deliver oxygenated blood to the heart. (The coronary arteries only deliver blood to the heart, not to all the body’s organs.) 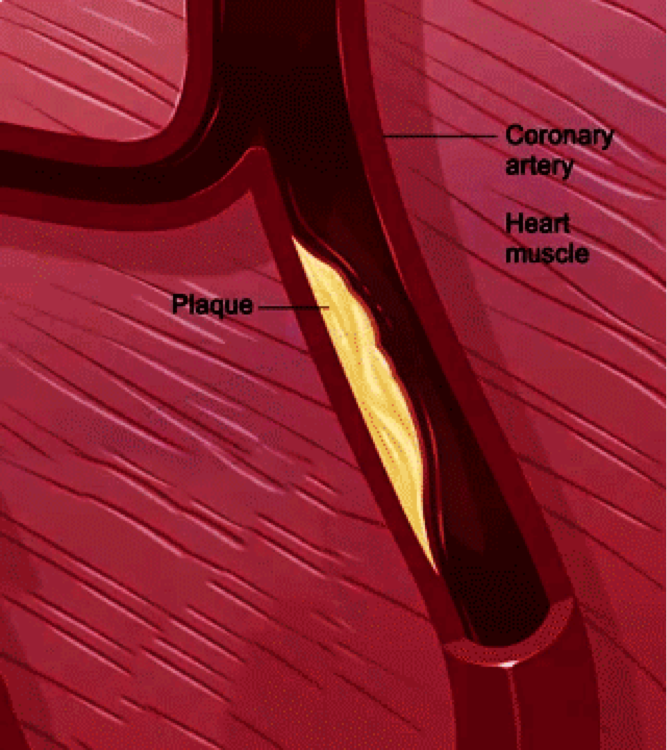 The arteries may become partially or even completely blocked by plaque, which consists of collected cholesterol, fat, and waste products from cells. The loss of blood and oxygen can damage tissue and may even lead to death. AMIs can be caused by a range of factors including bad cholesterol, saturated fats, and trans fats. Individuals with high blood pressure, high cholesterol levels, high triglyceride levels, high blood sugar levels, diabetes, or obesity are at a greater risk of experiencing an AMI. Smoking and a family history of AMIs also increases your risk for a heart attack. Men older than 45 and women older than 55 are more likely to experience a heart attack (Macon, Yu, and Reed-Guy, 2015). Two considerations are necessary when examining a 12-lead ECG for an acute myocardial infarction (AMI). The first consideration is the height of the ST-segment. If an ST-segment is elevated 1 millimeter or more, which is equivalent to the width of one small square or more, this may be the sign of an AMI. The ST-segment should then be scrutinized in the other leads. If the ST-segments of two anatomically contiguous leads are both elevated 1 millimeter or more, and the patient presents with the associated symptoms of an AMI detailed previously, then what is known as “presumptive evidence of an AMI” can be established. The combination of the appropriate clinical presentation of the patient, and the elevated ST-segments of two anatomically contiguous leads is considered a substantial implication of an AMI, and therefore acute reperfusion therapy including a thrombolytic drug or coronary angioplasty should be considered. This is great for teaching my students and reviewing my skills.